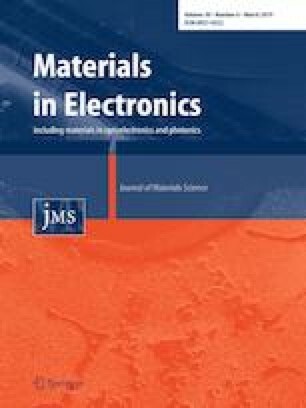 In this study, the microstructure and performance of different Ag-based conductive wires were investigated. Ag-based wires that contain 8, 15, 20, and 28 wt% Au were produced by multiple drawing and rapid annealing processes to substitute commercial gold wires in electronic packaging industries. The cross-sectional gain structures observed using focused ion beam showed the formation of a slender granular structure at the center, and the outer portion changed from equiaxed to elongated grains with the increase in Au content. High-resolution transmission electron microscopy showed a remarkable decrease in the twin thickness and stacking defect of 9R structures dissociated from incoherent twin boundaries. Electron backscatter diffraction analysis revealed that slender grains at the center showed strong < 001 > crystallographic orientation, and the equiaxed grains near the surface were in the < 111 > preferred orientation. The high Au solute concentration in Ag-based wires induced strong interaction on dislocations, thereby resulting in the formation of low-angle grain boundaries (LAGBs) and nano-twins. Ternary Ag-based alloy wires exhibited high strength and hardness but low conductivity and elongation with the increase in Au content because relatively the high LAGB density and Au solute atoms caused strengthening and electron scattering. This work is supported in part by the Ministry of Education, Taiwan, R.O.C. under the Higher Education Sprout Project and the Wire Technology Co. Ltd., Taichung, Taiwan.